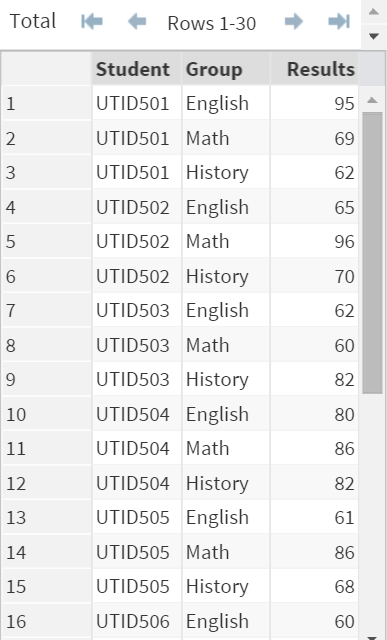 So far, we have only seen examples where the analysis results are displayed on the Results window. 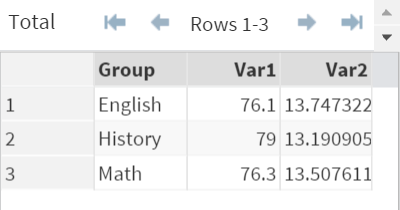 You might want to save the results to a data set instead sometimes. ​This can be done by using the OUTPUT statement. 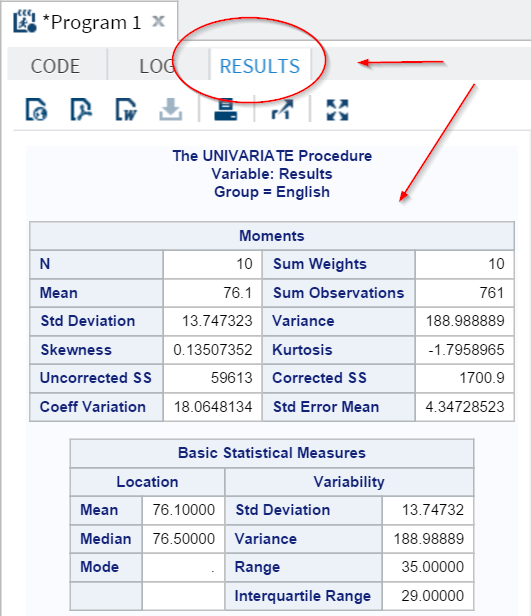 The Var1 and Var2 variables contain the Mean and Standard Deviation statistics, respectively. 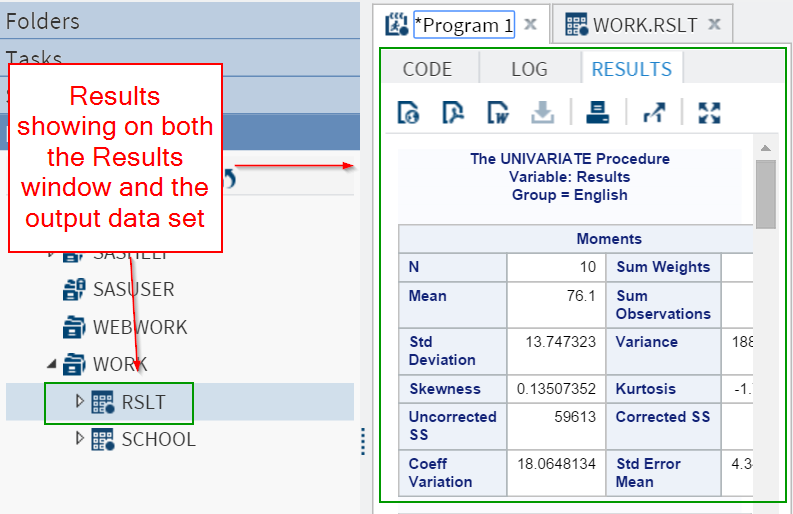 In addition to mean and standard deviation, you can also request for the other statistics to be generated in the output data set. For the complete list of statistics keywords, please visit here. 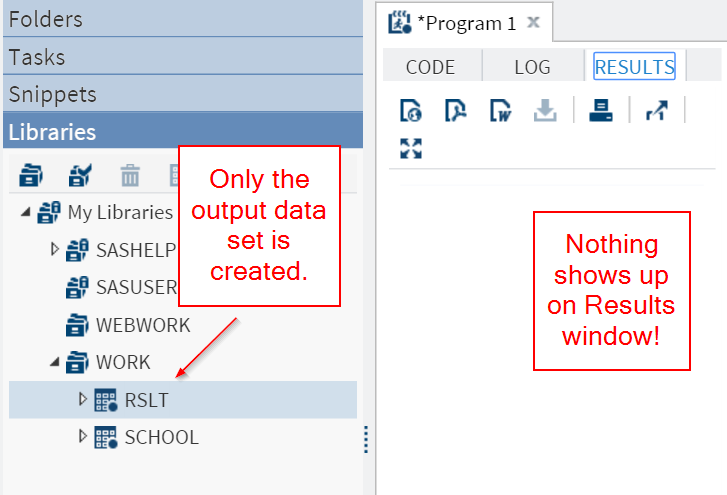 When using the OUTPUT statement, the analysis results are showing on both the Results window and the output data set. The results on the Results window can be suppressed by using the NOPRINT option. Create a data set that contains the heaviest fish from each species.